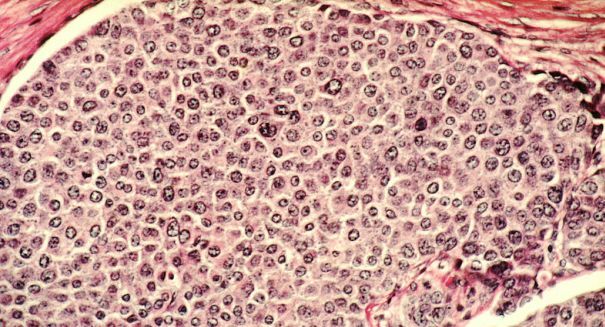 Breast cancer patients can develop secondary leukemia related to certain treatments, and a new study reveals why this is a problem. Dealing with breast cancer can be an uphill battle, and certain treatments can even lead to the onset of leukemia. According to a report from UPI, a recent study has shown that personal and family history may play a bigger role in the risk for developing secondary leukemia than previously thought. Researchers found that nearly 20 percent of women had a genetic mutation that increased the risk of developing breast cancer. This risk was linked to an increased leukemia risk, the study found. Treatments for breast cancer can have an adverse effect on healthy cells adjacent to tumorous cells, in certain cases leading to leukemia. The study found that the longer a patient lives following breast cancer treatment, the higher the risk of developing secondary cancer would be. According to Dr. Jane Churpek, a researcher from the University of Chicago, the study’s findings require further follow up to better examine the link between inherited breast cancer genetic mutations and the treatments patients receive. By examining how genes can affect the risk of therapy-related leukemia, physicians would be able to more accurately prescribe treatments that would offer the greatest benefit to the patient. Dr. Churpek and her team analyzed medical records from 88 breast cancer patients who had therapy-related leukemia. The results showed that 22 percent of the women had an additional primary cancer, and 57 percent had at least one relative with breast, ovarian, or pancreatic cancer. Of the available genetic information contained in the records, 21 percent of the study’s sample had the genetic mutation that increased susceptibility to breast cancer. The study was published in the journal Cancer. Dr. Churpek and her team recommended that more studies examine the link between specific mutations and the risks for developing secondary cancers related to treatments for another. A press release from the University of Chicago outlining the details of the study can be found here.